Want to increase resident retention, grow rents and revenue, make residents happy, and increase the appeal of your properties? 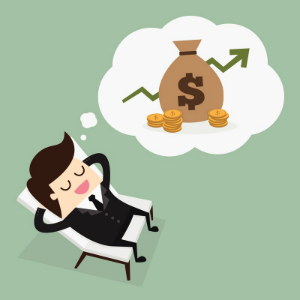 Some cool, new amenities might be the way to do it, but which new amenities create the best ROI for rental property managers? When tenants think of places they don’t want to live, those developments with the least amenities often come to mind. In the commercial sector, 72% of workers wish their buildings had more amenities. A lack of amenities then is associated with lower value and lower rents. A good way for landlords and property managers to look at technology as an amenity is instead Tech amenity as revenue builder. 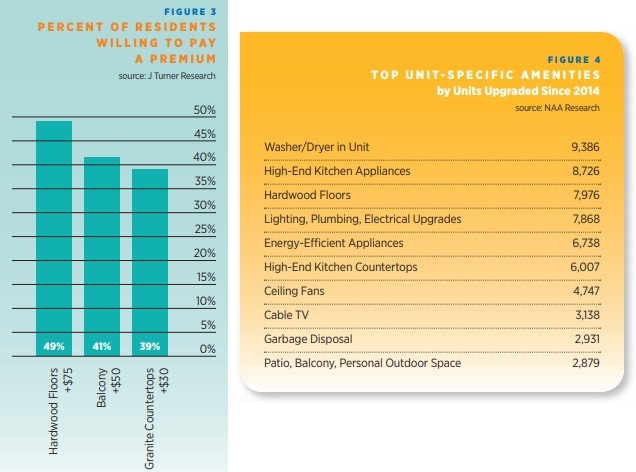 Screen Capture courtesy of NAAHQ Overall, community-wide amenities garnered higher average rent increases of $77 per unit compared to $52 for unit-specific upgrades — from National Apartment Association Report. The NAA report shows amenities can garner a good return, usually on A and B Class properties. Millennial renters love tech, yet Gen Z’s, Gen X, and Babyboomers love tech enhancements too. And we’re not talking about tech toys and renter bling. These new tech solutions you’ll see below incorporate every area of property management from landlord communications to fitness, energy conservation, climate control, air quality, security and relaxation, to social community. New development builders are big on tech and it’s becoming central to apartment and condo living today. Should you just tear down your buildings and rebuild from scratch to make it all tech enabled? No, just add some improvements your tenants want. including any apps they might like. (if you were using our software, you could survey them). The NAA survey found renters want to pay their rent online. A good way for landlords and property managers to look at technology as an amenity is Tech amenity as revenue builder. Many of these features can be offered free, or as a subscription to generate additional revenue streams or pay off the cost. NAAHQ cites residents desire to socialize, be connected, yet be by themselves with others, as central to this new wave of technology benefits. Inside or outside their unit, tenants find comfort and value in high tech amenities. Younger renters are definitely in love with everything they can do with their smartphones. They always mention the ease of managing their financial life, communicating and keeping in touch, and how they feel they’re in control and in-sync with all this new technology. Virtual personal assistants are just the latest in a line of tech tools they want. And Silicon Valley is responding with better software, devices, apps, hardware and digital solutions. We’ve talked a lot about them here on the ManageCasa Blog. And as I mentioned, these additional new tenant incentives can garner new service fees and draw better tenants. Better tenants normally mean higher rents and improved ROI. New tech is well recognized by multifamily investors and developers. Owners, landlords, and property managers are scrambling to find new ways to attract tech savvy Gen Y and Gen Z renters. Technology as amenity from their point of view, is almost a right. Find out more about what renters want today. 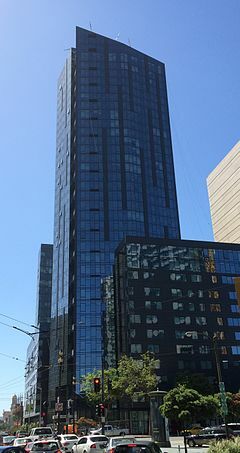 NEMA is a spectacular, 754 unit, amenity inspired, 2 tower development in downtown San Francisco, located right across from Twitter’s head office. It takes tech and eco-friendly living to new heights (and impressive viewpoints). “The intimate South Tower Lobby, features an artwork inspired by NEMA’s tagline “Made in San Francisco”. The mood is always resonant with the time of day: bright lighting and energetic background music in the early hours, softer lighting and more mellow tunes in the evening. Both lobbies are equipped with digital device charging stations, digital touch screen messaging boards, and reliable Wi-Fi coverage.” from NEMA’s Website. 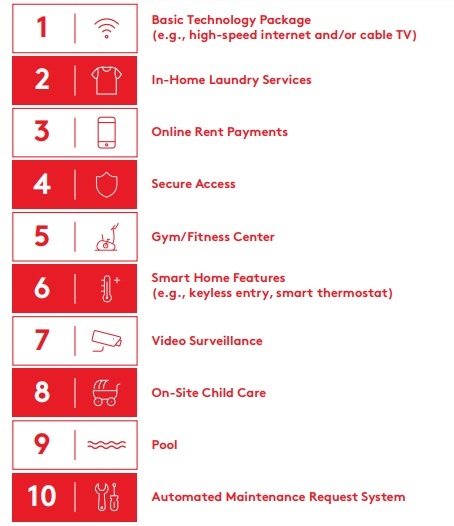 So what are these technology things that are your new rental amenities? Let’s have a look at a few. 1. Free Wifi and expanded bandwidth via optical fibre or fast wireless Internet service. Offering it free makes a lot of noise in the renter community. Want to go viral on Facebook or Twitter? Promote your Free high speed Wifi. Investigate the hardware systems you’ll need to create their dream net connected lifestyle. Read more about Free wireless for tenants. 2. Charging and docking stations. These stations are inexpensive yet they provide a central location to allow tenants to recharge their devices. It looks impressive and supports their view of how important their devices are. 3. Keyless Door Entry. Keyless entry systems for landlords, means better security, no physical, metal key and door lock issues and copying. Take the mechanical issues out of the cost equation. Let tenants manage their own door access and get better information about who is entering the premises and how often. Some systems are using retinal scans to eliminate keys entirely. It’s a serious upgrade to security, something women in particular would be impressed with. 4. High Tech Fitness Centers. Can you offer a better fitness experience than LA fitness or Goodlife? It’s not an inexpensive amenity but one that will appeal to urban millennials who are short on time and funds. Consider ellipticals and shock absorbing treadmills that provide Fitbit integration and bluetooth connections. And a yoga studio with giant screens for workouts will be a hit. Systems provide touch sensitive screens for web connectivity, Youtube access, and interactive exercise videos. 5. Outdoor heaters/fireplaces and large outdoor hot tubs. Fireplaces and hot tubs are two features that let people socialize. New hot tubs are utilizing the power of ozone and UV light filters to kill viruses and bacteria. A nearby large television helps provide a pleasant distraction (relaxation music and scenery). These amenities provide a first class community feel to your multifamily development. NEMA took the amenities to the extreme because it’s what tenants dream of. From solariums and rooftop decks to fitness centers, entertainment rooms, spas and wifi connectivity, NEMA was the talk of the town in SanFran. And these level of high tech accommodations are consistent with the rapidly improving short term rental market (Airbnb and much higher rental prices). Hotels are into tech improvements. 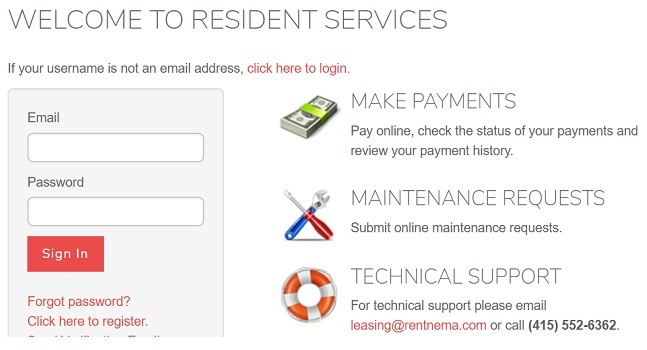 NEMA even provides a tenant friendly resident software very similar to ManageCasa cloud software. 6. Smart Home Systems. Tenants enjoy controlling heat, humidity, lighting and security via their smartphones using bluetooth technology. Nest, Ring, Google Home Assistant, Amazon Alexa, Alexa Microwaves, Schlage keyless locks are just a few brands they’re familiar with. What they all deliver is a feeling of convenience. Renters can’t help to be fascinated by the lifestyle potential of these advanced tech devices and systems. If you’re looking to differentiate your properties from others, and keep them differentiated, these technology as amenity improvements will set your brand and properties clearly beyond. Ask your realtor, accountant, insurance agent, local retailer, or even college teachers about technology as valued service. They’re into it to stay relevant to their customers. While you’re here, take ManageCasa for a test drive. There’s not better way to modernize how you manage your properties. 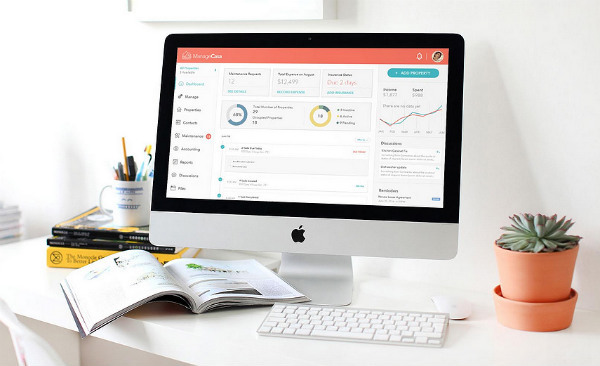 ManageCasa is the premier cloud based property management solutions for your company.